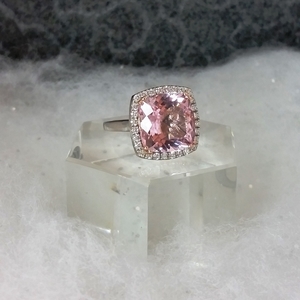 Kevin Edward Jewelers prides itself on our custom design jewelry. Our experienced design team will work with you every step of the way to help make your vision come to life. Whether you want to re-design an older piece or build your concept from scratch. Let us craft a piece that is unique just for you! Contact us today! Meet with our experienced team to discuss your ideas and begin to put them on paper. A member of our design team will sketch possible designs based on your ideas. They we'll review the sketch and make any necessary adjustments to ensure you are fully satisfied with the end result. This phase also allows us to provide you with a price quote and time frame for completion. Our highly trained goldsmiths hand craft each custom piece, setting gems and perfecting the finish.